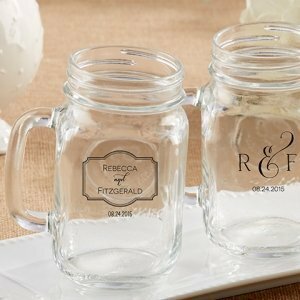 Elegance and vintage appeal come together to create this Personalized Classic Theme Mason Jar Mug Favor. The perfect choice for your sophisticated event, use them to hold flowers on your table, serve your wedding beverages in them, or fill them with treats for each of your guests. 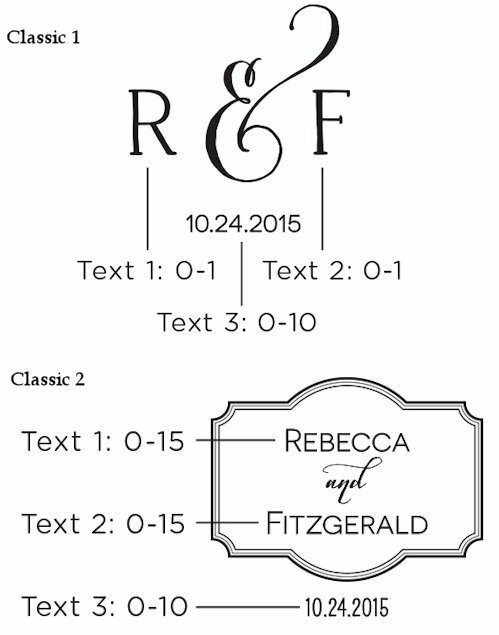 The two classic designs feature your names or initials for a special touch. 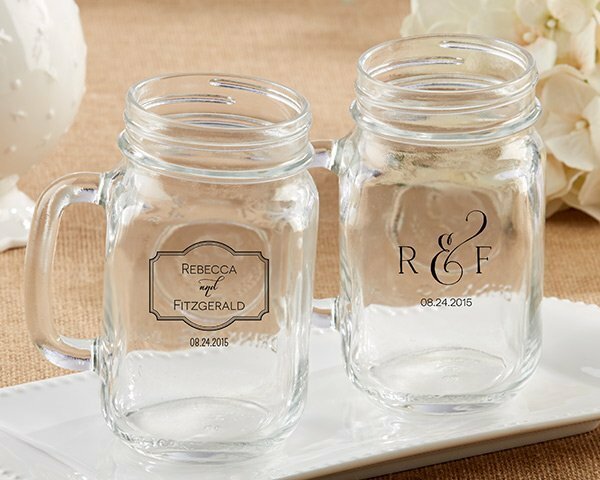 Product dimensions: 5" H x 4" W.
Are these Personalized Theme Mason Jar Mug Favors glass jars or plastic? Glass jars! They are very heavy, given that they are made out of glass, which is why shipping may seem high. It costs lots of money to ship heavy glass across the country. We get great discounted shipping rates from UPS, but it does add up, so I wanted to let you know ahead of time.